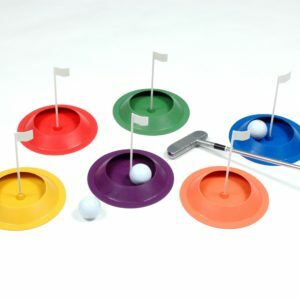 The 6-Way Goal was designed for use in a variety of games and activities. It is the most universal and inclusive goal/target in physical education. 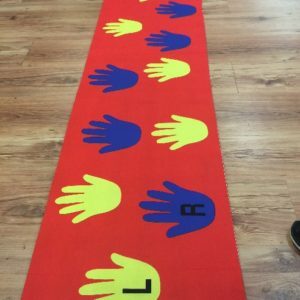 Students and teachers love the versatility of this item and the fact that it is geared toward younger students so they can have success at their level. 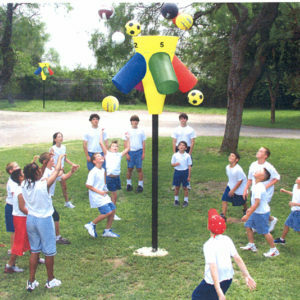 The hoop can be placed in 6 different positions. The horizontal settings are at 3′ and 5′. 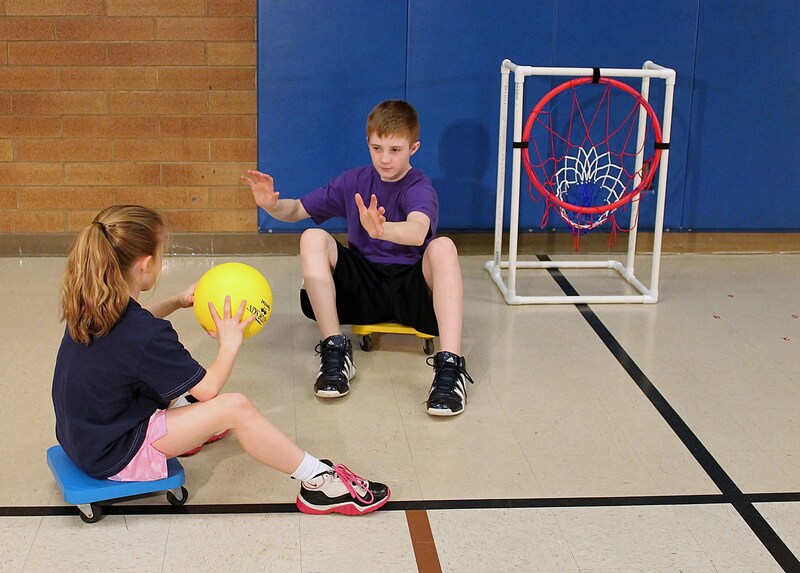 These settings are perfect for scooter basketball and standard basketball activities for young students. 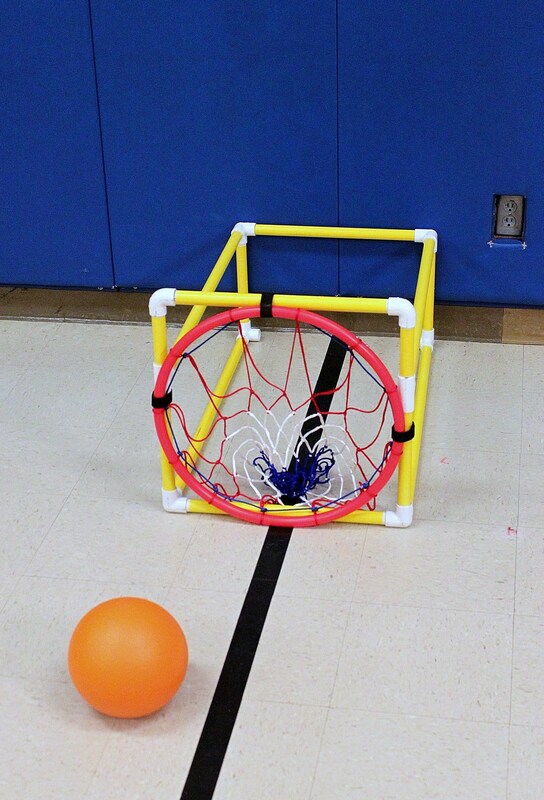 Students can also practice volleyball passes by trying to make a basket. Even the youngest students can have success at these heights. Set the hoop vertically at 3 different levels. 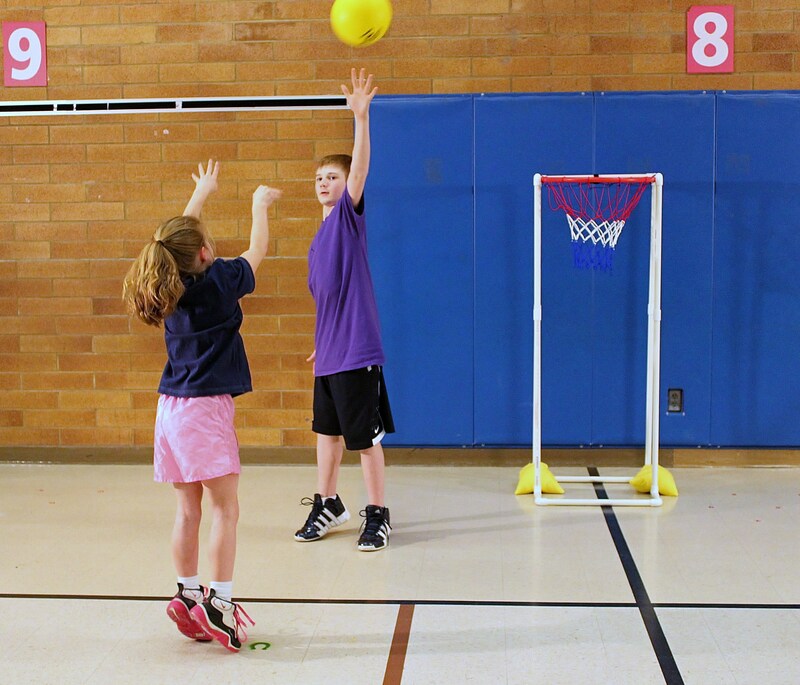 Play team handball type games, use as a target for flying discs, practice throwing/pitching skills at the middle height, or set it at floor level and practice soccer passes. Set the hoop at floor level, at the 45 degree setting and use it as a target for lobbing bean bags. The 6-Way Goal is also the perfect addition to any obstacle course where ball skills, flying disc skills, or beanbags skills are involved. 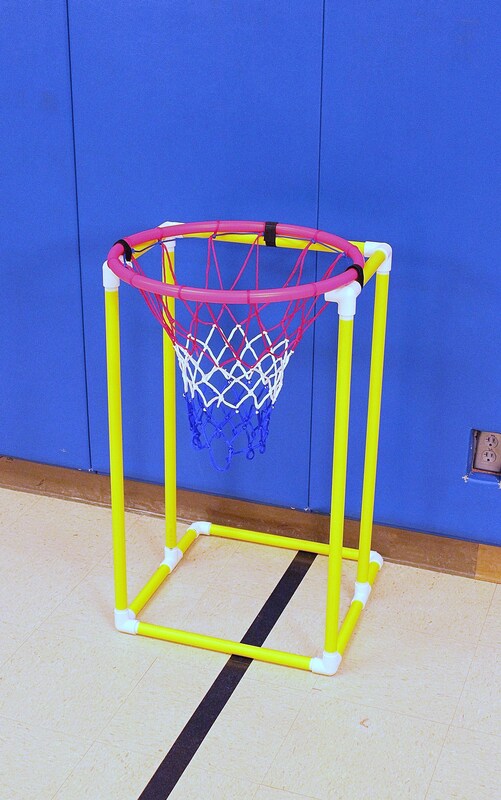 Each unit includes 2 weight bags to hold the 6-Way Goal down when using it at its full height of 5′ and when students are using standard basketballs. The hoop is held tight to the frame with 3 Velcro strips that make changing positions quick and easy. The frame is made of safe, lightweight, PVC. An extensive activity guide will show how to use the 6-Way Goal and describe all of its possible applications.